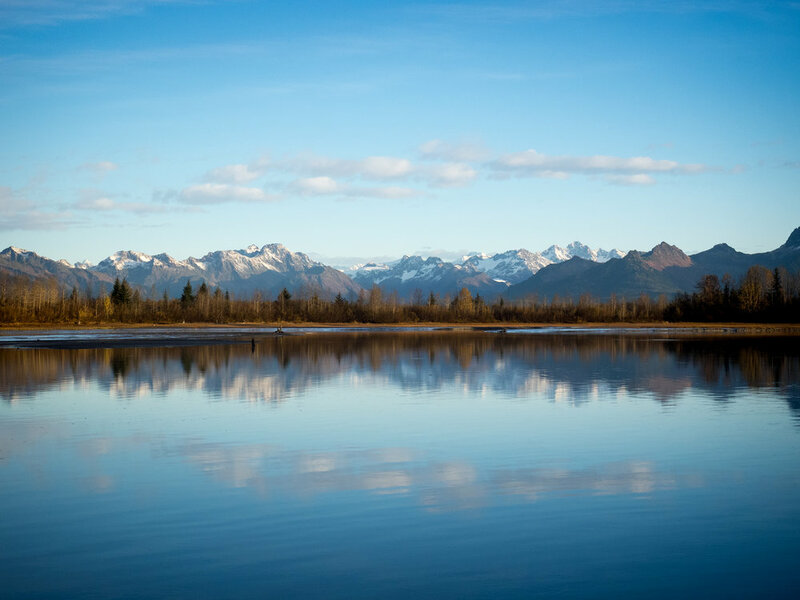 This story is about the Copper River Delta. 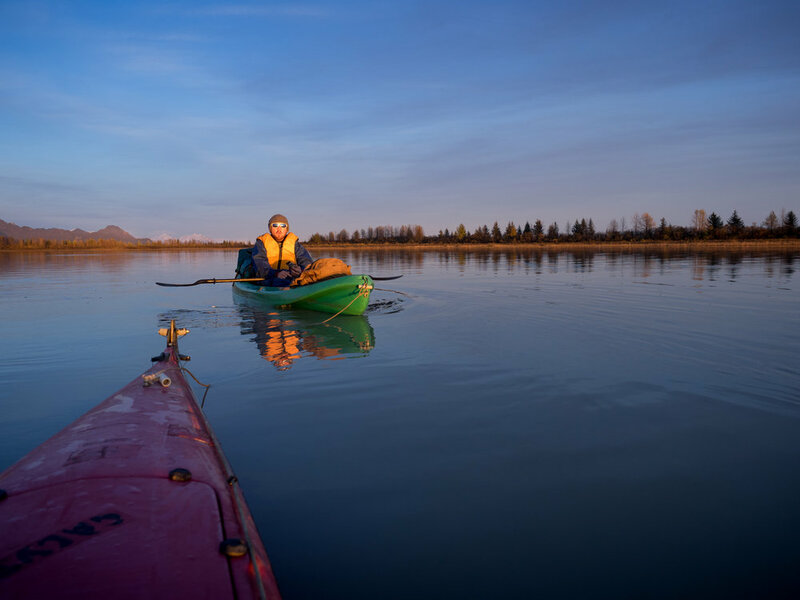 Flat and expansive - the delta is full of geese, swans, ducks and moose. Where the ocean intermingles with the river. Seals and saltwater. A land of distortions, where a small shorebird can look like a far away bear when the water is reflecting just so. When Taylor and I left the Alaganik boat launch around 5 p.m. the tide was still coming up. The slough was full of water, and the current was moving slowly up-stream. 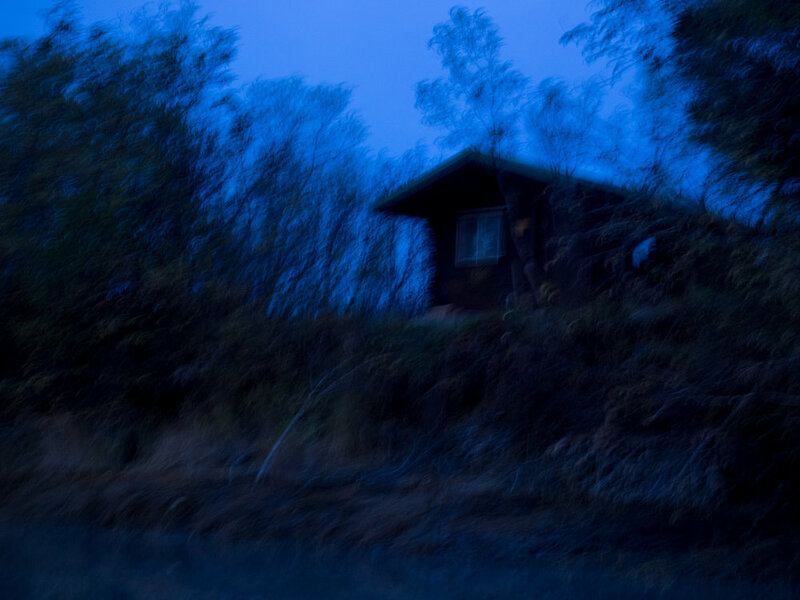 At some point it changed and we rode the tide out towards the ocean, arriving at the Tiedeman slough cabin just before dark. We were lucky in that someone had left extra kerosene at the cabin, something to remember to bring for the next time. The oil stove heated the room and our dinner while we read through the log book. 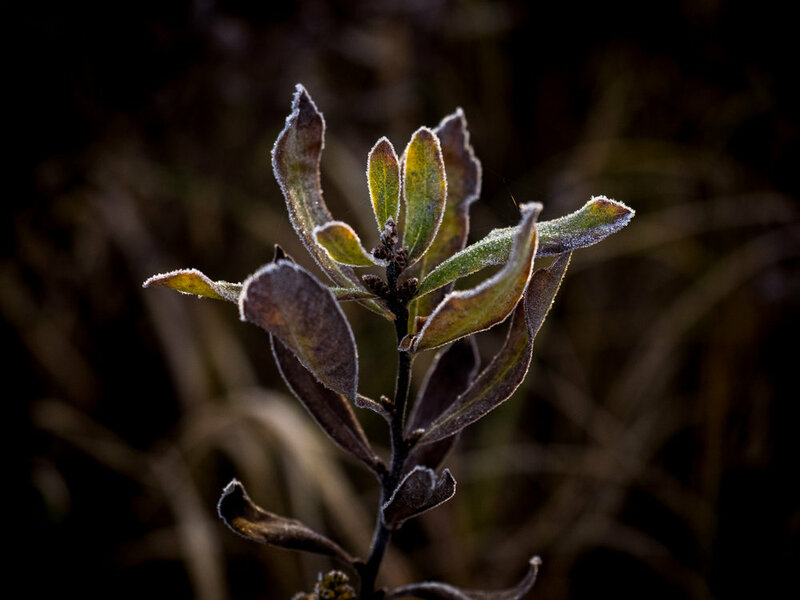 When we woke up the world was covered in a thin layer of frost. Everything sparkled in the morning sun. We left the cabin to wander down the beach and through the field behind the cabin. We followed trails across the swampy ground. Moose trails? Human trails? All the way back up the slough we were surrounded by two worlds. One made of trees and grass, flying swans, clouds and blue sky. The other, reflected in the still water, shattered into kaleidoscopic pieces when we paddled by.